Nestlé Japan has always been innovative with its Kit Kat flavors, creating not only uniquely Japanese flavors but special local Kit Kat variations only available in specific areas of the country. 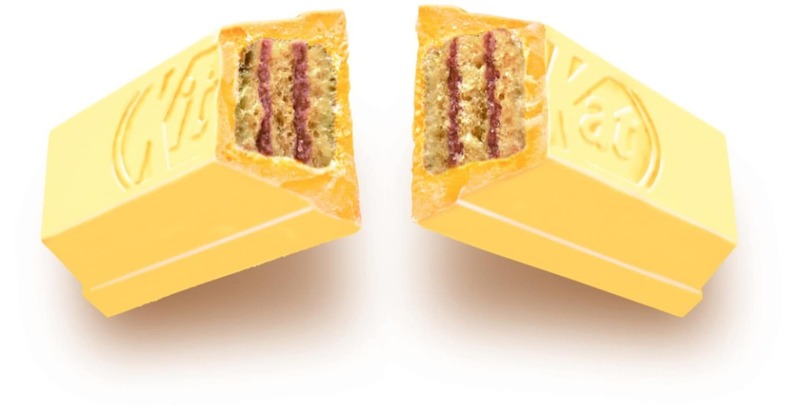 The latest addition to their line of region-specific Kit Kats has recently been released and the new flavor combines two delightful elements. 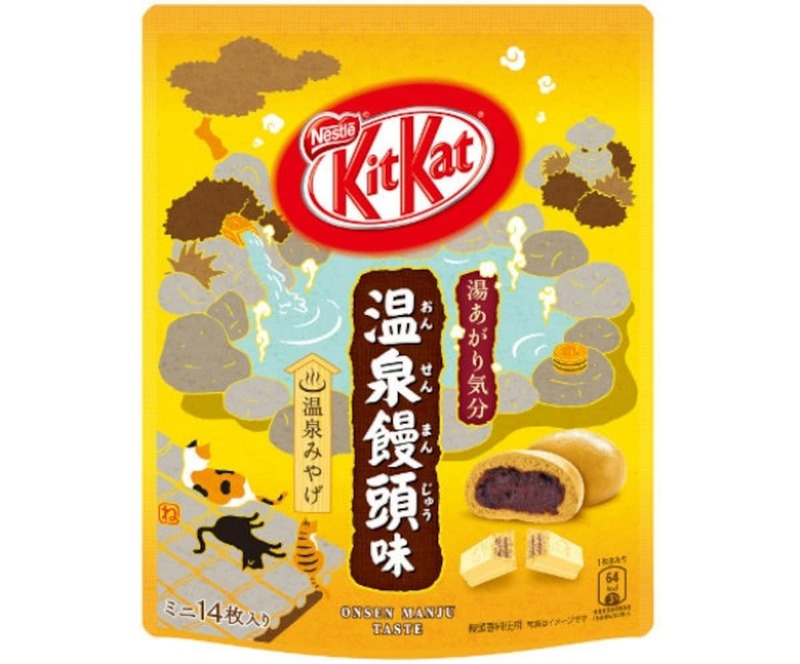 The new Kit Kats will feature hot springs and sweet steamed buns! This is actually the second time Nestlé Japan has offered a line of Kit Kats available at limited hot spring locations across Japan. Last autumn, they released a “luxury matcha” flavor which was also for sale only at select hot springs, and the response was apparently good enough that they’ve come up with a second flavor! The new item even has a flavor that’s hot spring-related, inspired by a Japanese sweet that is traditionally sold in hot spring areas. That’s right, the new “Kit Kat Mini Onsen Manju Flavor” is based on the onsen manju (literally, “hot spring steamed buns”), a dainty steamed sweet filled with red bean paste that is widely sold at hot spring spots across Japan. These specialty buns were originally made using water from hot springs or were cooked with steam from the hot springs, but nowadays, sweet steamed buns sold in hot spring tourist spots are generally marketed as onsen manju. Onsen manju, steamed buns filled with sweet red bean paste, are an excellent snack to enjoy while strolling the streets of a Japanese hot spring resort. And this is the Kit Kat inspired by the sweet steamed bun. To emulate the look and taste of the onsen manju, the Kit Kat is coated in light brown-colored chocolate, and they’ve added cream containing red bean powder between the crunchy wafers inside! Plus, the Kit Kats will come wrapped in packaging decorated with adorable characters from the “100 Views of Cats” (Neko Hyakkei) line of products, which have been promoted and become popular as hot spring souvenirs nationwide. A steamed bun may be a tad difficult to take home with you, but these Kit Kats should stow away very nicely in your luggage!